Our dear user Calwen Aurellen now changed their name to Kyrianne365. To check out their various mixes, head over to their new profile! There are many different ways how to express yourself. Through writing, painting, sports, dance, all the fine arts – and through making music. Not everyone of us can play an instrument though. 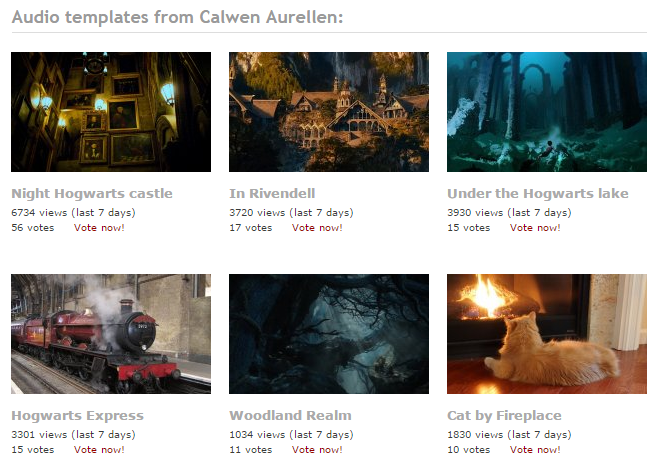 Ambient Mixer user Calwen Aurellen still found a way to express her evident love for fantasy and imagination with music and sounds. Just like any other art, Calwen Aurellen didn’t hide her creations, but shared them with the growing Ambient Mixer community. Maybe you have already listened to one of her mixes, once or extensively. Or maybe you even voted for one of her mixes, adding them to your list of favorites. For everyone who enjoys fantastical and relaxing atmospheres and hasn’t checked out her profile yet, we decided to give you a little round-up of Calwen Aurellen’s work. As a fantasy fan, you hardly could avoid at least hearing about J.K. Rowling’s “Harry Potter” or J.R.R. Tolkien’s “The Lord Of The Rings”. It’s undoubtedly that Calwen Aurellen is a fan of the works of these authors as is evident in her various fan mixes she has created. Different to the aforementioned mixes, the ones listed here were created for the fantasy video games Dark Souls and Dark Souls II. 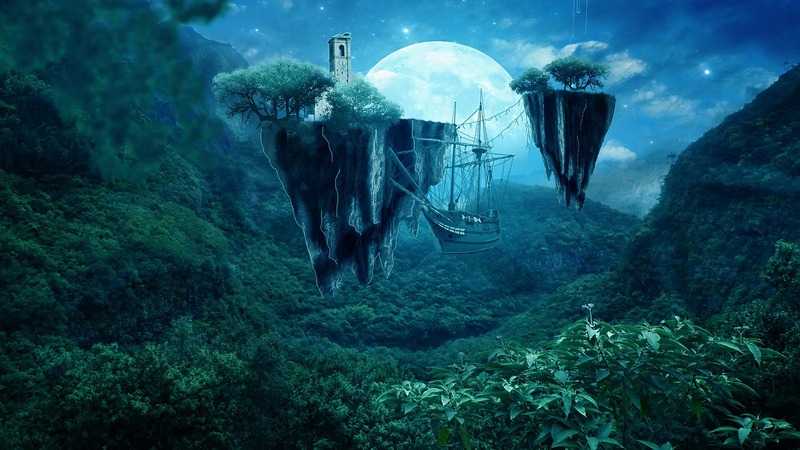 Inspired by the game and maybe intended to function as background music while playing, several mixes for different places and scenarios of the games have been created by Calwen Aurellen. Furthermore, she created some soundscapes for the Silent Hill video game series. Another great way to use Calwen Aurellen’s ambient mixes is to flee to far away, yet existing places. The following ambient soundscapes convey a tropical and exotic atmosphere when you tune them up. But fantasy themed mixes aren’t the only ones that can be found in this versatile user’s profile. Soundscapes for the different holidays, science-fiction inspired ones, cityscapes, and horror mixes can be found as well.